Palladian windows are a set of three windows often separated by columns where the outside frames are thin and rectangular and the center frame is topped by a rounded archway (that portion can look similar to arched windows). They tend to be rather ornate designs and when done well can add elegance and a stunning focal point for any home. 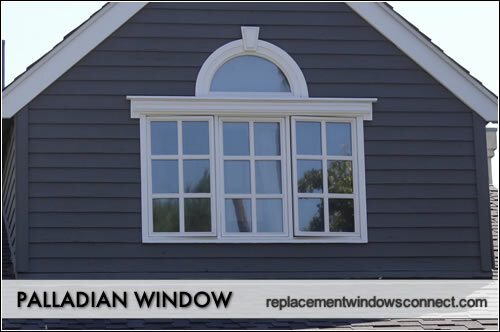 While traditional palladian windows are three sets of window frames with the center frame having an attached arched top, there are many variations that still get grouped under the name. 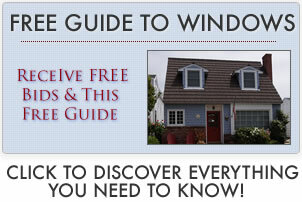 Often times, the windows are intricately framed with wood or even steel frames. They are traditional placed over door or entryways to add a visual focal point to a home. This is certainly not always the case and many designers can integrate them into home design to very interesting and effective ends. The windows get their name from Andrea Palladio, an Italian renainssance architect who integrated classical architecural features into the homes of wealthy clients. They came to prominenence in the late 1700s in the United States as wealthy homeowners wanted to add flourish and flair to the more staid colonial architecture. These are going to be custom made and quite pricey. The windows and the framing on such a big opening will take a toll on the final price tag. Palladian windows are arguably the most elegant and graceful style, with beautiful columns integrated into the framing and ornate molding and cornices topping the outside frames. They can add an amazing design feature to a home and make it a visual showcase for friends and family. Because the opening is so large, the whole thing can allow in a huge amount of light. They rival clerestory windows for the amount of light that they bring into a room, creating an open and airy feel. Palladian windows are hugely expensive to put it because they are basically three picture windows with the center window have an arched top. Most homeowners who opt for this style want the big thick molding on top and even the columns in between the frames. All of this means custom windows, framing and carpentry. Not a simple endeavor, but worth it for certain consumers.